Anyway, the first thing I noticed was… woah 31 new messages! Most was just junk, I think there was a holiday postcard from woof, some rubbish from my puffles, and a bunch of old events and ‘you’re membership will run out in 37 days’ warnings. One card was saying something about a member party in the night club. There’s two new games there. A DJ yoke and a dance signup table. 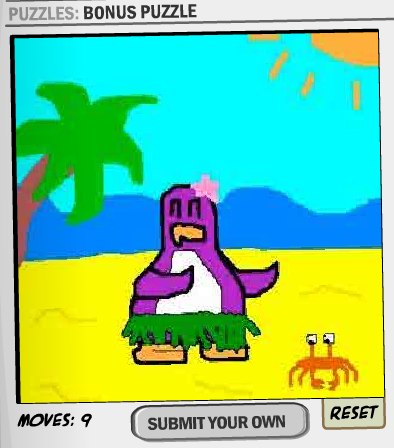 It looked stupid, but it turned out my penguin was a natural at the Riverdance. After not seeing a box in sight, I went off to go cry in the pet shop. Then I noticed a little egg in the corner of the screen. After running around for a while finding more eggs I got some pink bunny ears. Oh the joy. Oh, and here’s a picture from the Stage. Check out the blue side. They used my ‘BLUES BLUES THEY NEVER LOSE!’ slogan. Maybe I didn’t make it up after all. Or maybe I did and I should be rolling on the ground going ‘OMG CP USED MY IDEA IM GONNA BECOME SO POPULAR EVEN BILLYBOB WILL BE CROWDING ME’. Either way, pretty nice picture, don’t you think? And puffles aren’t as stupid as they used to be! Now they don’t sleep on the floor as much, and enjoy drinking from fishtanks, toilets, and stagnent pools of hot chocolate. And there’s a new book in the book room where you can put socks on a guy. So awesome. 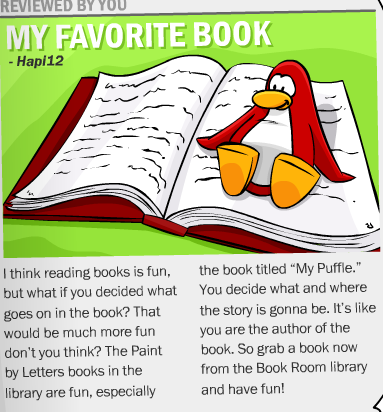 And look at this for an artistic puffle. That looks exactly like me. So as I was saying, I got some pink bunny ears. Then I found a chocolate bunny pin on a rock somewhere. 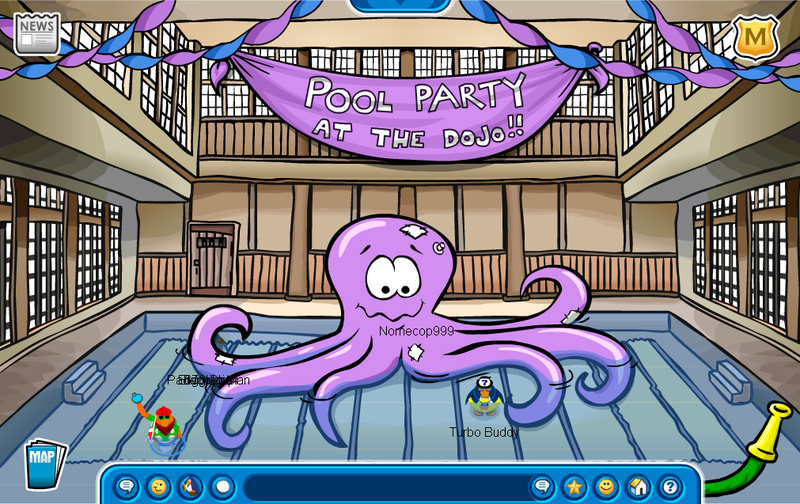 I went to the dojo and got up to purple belt, whupping newbs left and right. And then I run into Spider880, an old friend. He doesn’t go on WordPress much anymore, but he still played CP and (I think) Poptropica. I told him about my box problem and he told me to go to an igloo on the map. I arrive there and low and behold… a box. But not any ordinary box. 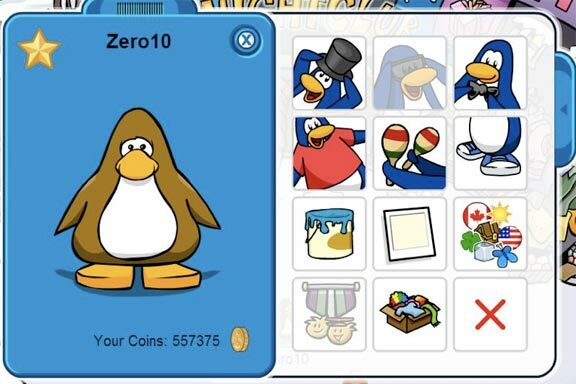 These were one of those April Fools boxes from some party back in 06 (and juging from the *cough* new look of this guys igloo, this year’s party too). I step into the box and…. ZHOOM! Spider then procedes to give me a tour of the box demention. Not much of a tour, though. “The tour isn’t meant to cover the box demention I’m confused…” But on the bright side, the music was ok and your snowballs go all wobbly! 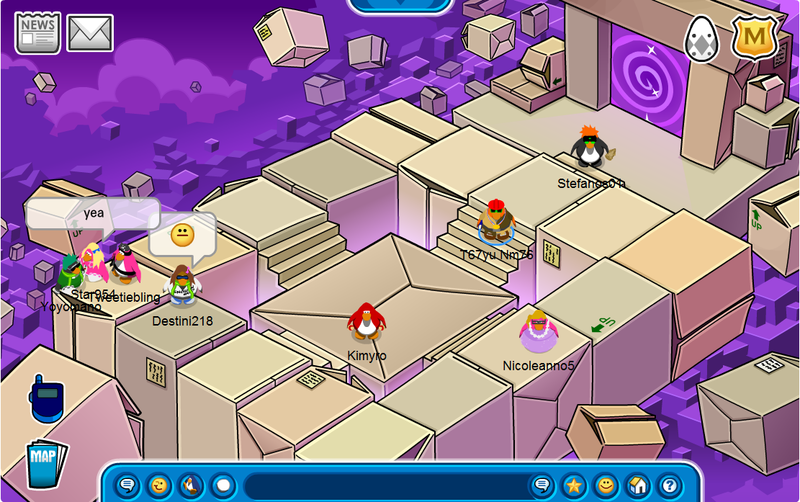 Then the owner of the igloo came in, and I beat him up. But when I tried to nick his box a big message popped up saying ‘members only’. So I went off sulking. 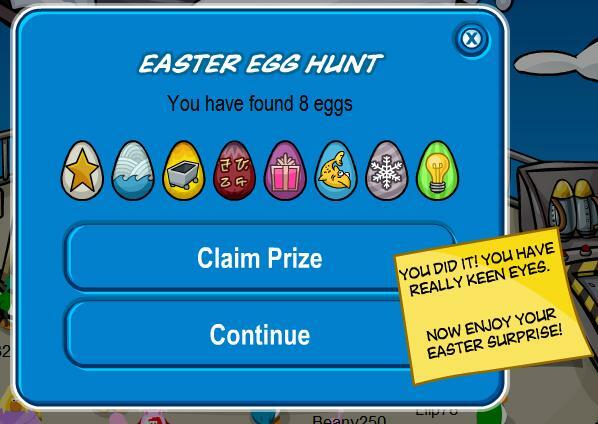 Luckily for me, I ran into a bunch of chocolate bunny penguins. 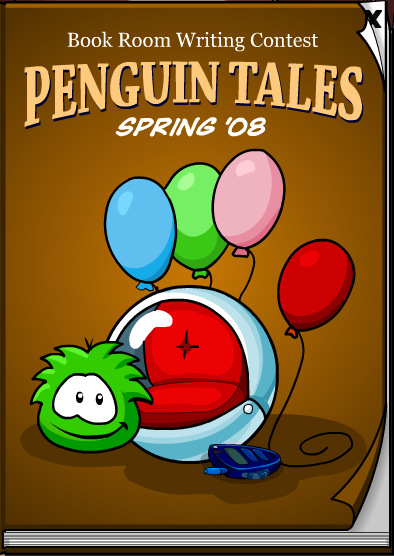 One was walking… a white puffle? Damn. I wanted orange. After discovering the white puffle was a vicious as he sounded and watching him eat a bunny penguin whole, I decided to move on. And then I found a pink bunny ninja! 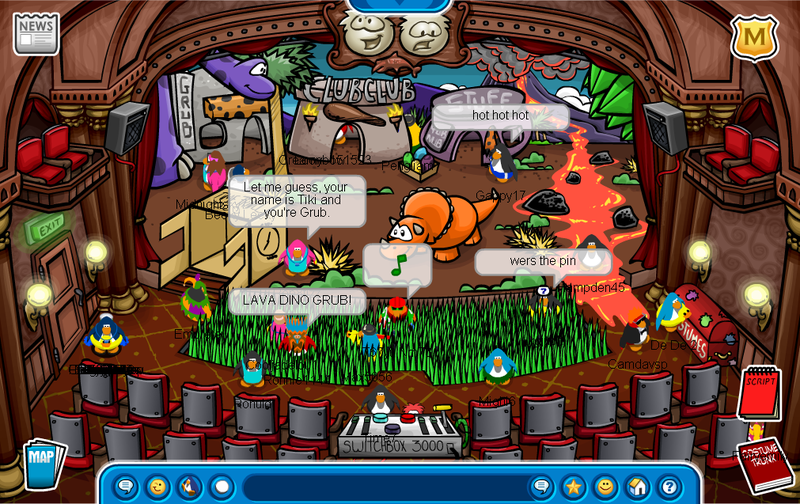 After a long day making fun of people and being angry at CP, I retired to my igloo… which had turned back into a block of ice since my membership ran out. And I had to share it with 7 puffles. Woof apparently got kicked out of his house again for not paying the rent, so he decided to camp out in my basement. Whcih was removed with my membership. 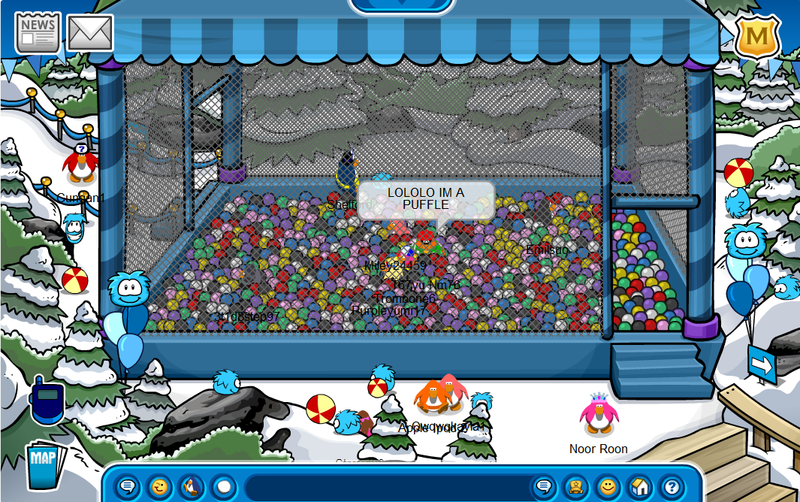 So now I was sharing my igloo with 7 puffles and a fat penguin thing that smelt like wet feathers and candy floss. I even had to read him a book to get him to shut up talking to the puffles all night. Well, there you have it folks. 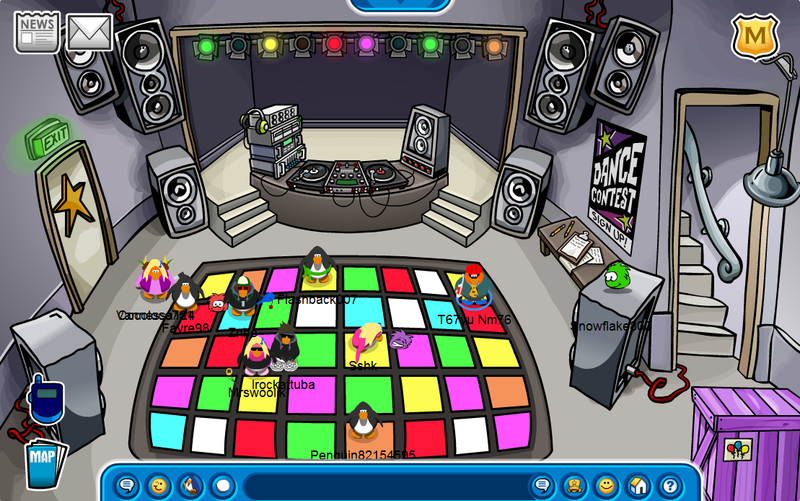 Club Penguin is now under the control of white puffles, chocolate bunnies, ninjas and evil member boxes. Hey guys! Sorry I haven’t updated in a while. CP won’t remove my infraction so I’m feeling a bit annoyed at the moment. Ok, first thing’s first: the new clothing catalog. There are some cool new items, but a lot of the things are just returning items that I already have from last year. My favourite new item is probably the diver’s suit. 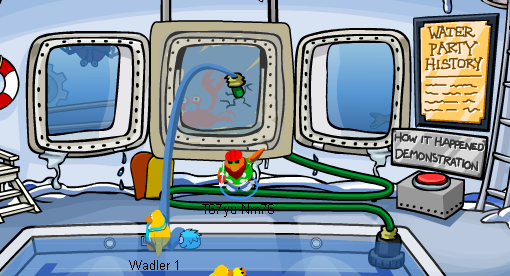 They also added a new move to the lifeguard suit – you can now swim with it! Now for the next subject: new mission sneak peek! A new newspaper also came out. There’s a small article about the Water Party on pages A2 & A3. “Now more than ever we need well trained agents on alert. Your assignment until further notice is to help train new agents. 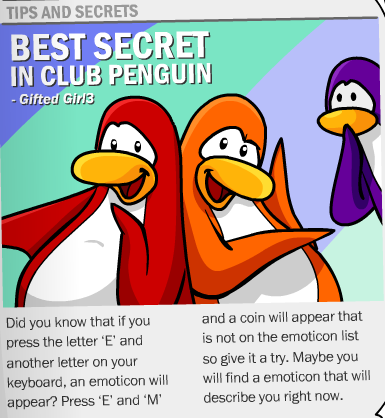 Coach them on keeping Club Penguin safe and helping other penguins. Be ready for anything. I know I can count on you. After you close it, a paper shredder appears and destroys the note. On pages A7 & A8 there’s an ad for the new play at the stage. This week’s tour article was actually pretty good. Apart from the final paragraph… it was kinda weird. 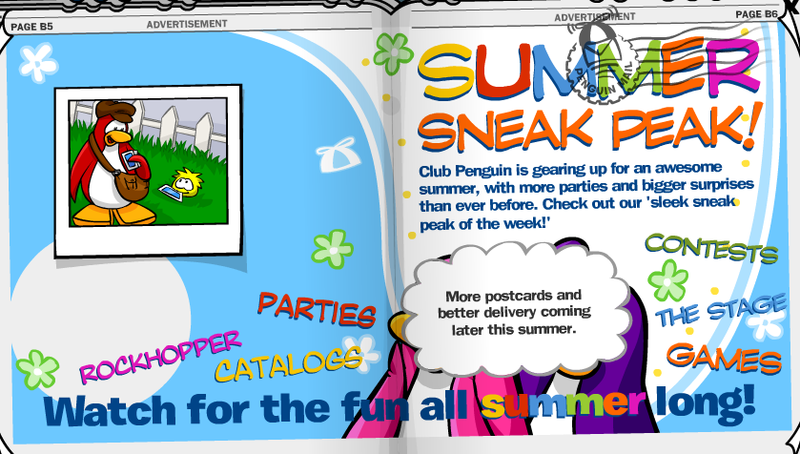 There’s a CPIP secret in the summer sneak peek on pages B5 + B6. 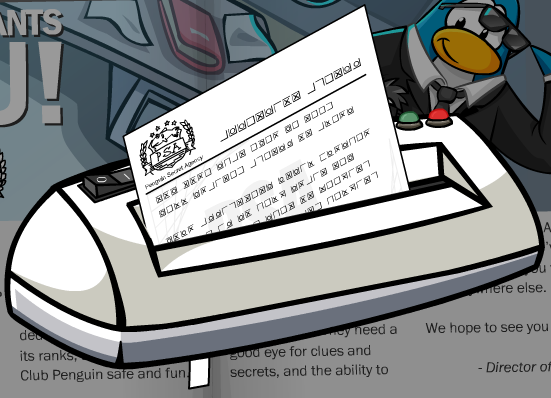 Put your mouse over the propeller hat doodle to see a bubble about Penguin Mail appear. 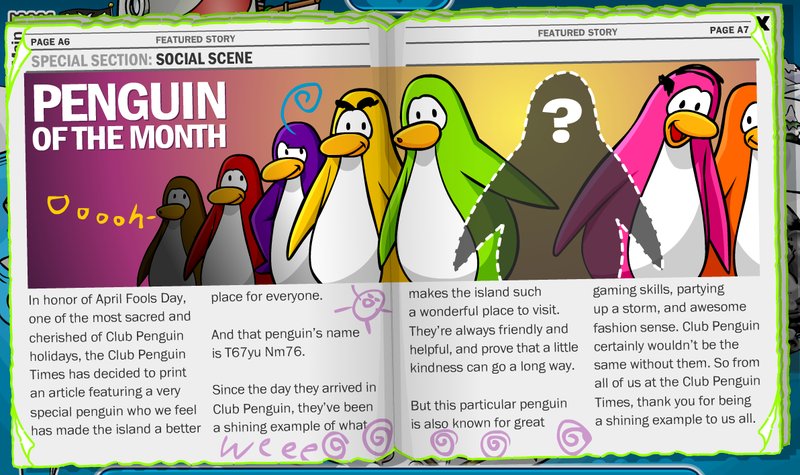 There’s also a picture of Penguin Mail behind all the others (drag them away to see it). Aunt Artic talks about the Treetop Fort & pins on pages B7, B8 & B9. I’m not even gonna talk about the user-written articles they’re so bad this week. This week’s puzzle is one of those ones where you have to make a picture (whatever they’re called). This week’s comic is pretty good. You can see it for yourself on pages C7 + C8. There’s a new play at the Stage too. 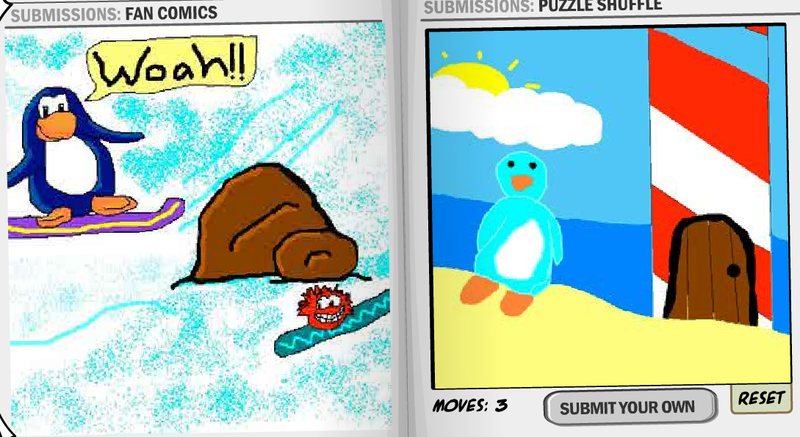 It’s called ‘The Penguins That Time Forgot’. There are some cool clothes in the new Stage catalog. The Water Party ’08 has started! Some of my favourite things from last year are back. The weird thing is, in the movie it shows a penguin using the new laugh emote, a.k.a. the “scary emote”, that replaced the old laugh emote. (Click here to read a post about it if you can’t remember, weren’t around back then, or frankly have no idea what I’m talking about.) If you remember, that emote was added in October 2007. The original Water Party was in July 2007. That emote wasn’t around back then. I smell something fishy. There’s a new room too – the Inflatable Whale. To get there just walk over to the big blue thing beside the Ice Berg. Not only can you throw water bombs, but you can spray people too! (They can’t see it.) Just look for a hose in the corner of the room (it’s in most rooms). Then just drag it around to spray people. The Forest looks pretty cool too. It’s defiantly one of my favourite rooms. There’s a big water slide going down Ski Hill. There are three free items; two returns, one new item. The Ice Cream Apron is at the Plaza. The Yellow Ducky is at the Cove. The Shell Necklace is at the Beach. 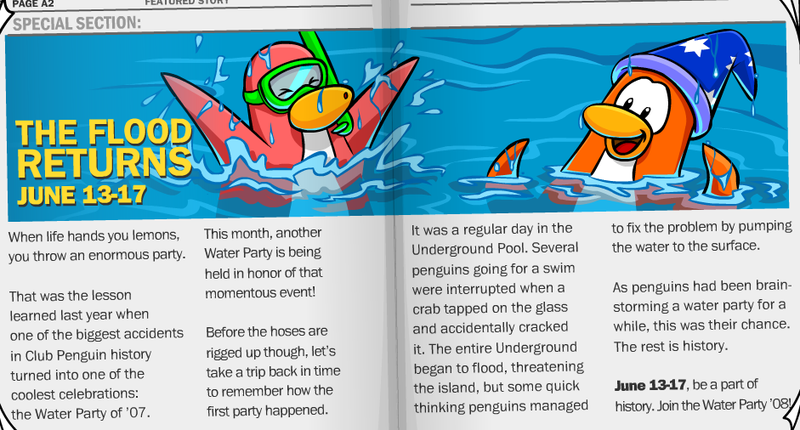 The home page has been updated for the Water Party. The Lighthouse is a palm tree & you can see the slide going down Ski Hill. In other news: The Community section has been updated. 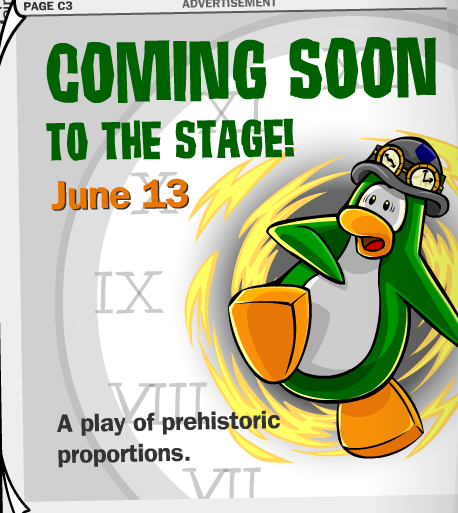 They added a featured igloo & a PST clock. That’s all for now, I’ll keep you updated. Wanna help set a world record? Firefox are trying to set the record of most software downloads in 24 hours. All you have to do is download Firefox 3 on Download Day. (The date is yet to be announced.) You can also take a pledge & increase the country you live in’s number on pledges on the map at the home page. Click here to go to the official site for Download Day 2008. Remember: Don’t download Firefox 3 till Download Day or your help will be wasted. If you have a website you can add cool widgets to it by clicking here. Just copy & paste the HTML under your favourite widget onto your site. 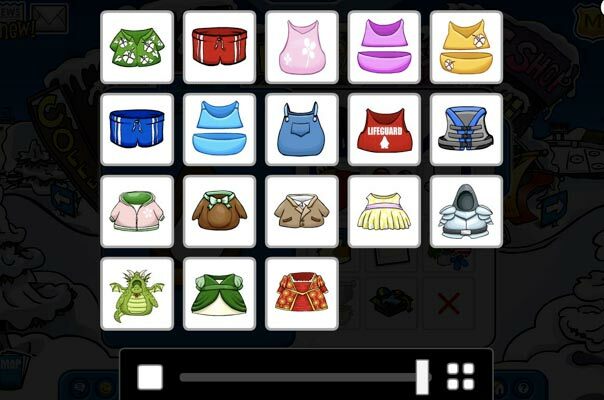 In other news: I haven’t updated about the new catalog on Club Penguin because a moderator banned me for no apparent reason & didn’t tell me why, so I’m not even bothering to use my spare penguin at the moment. I’ll probably post about it sometime tomorrow when I’m unbanned. Sorry I didn’t post these sneak peeks earlier, but I didn’t get time to publish them till now. I can’t believe they’re gonna ruin one of my favourite parties of the year by turning it into a water-themed party. 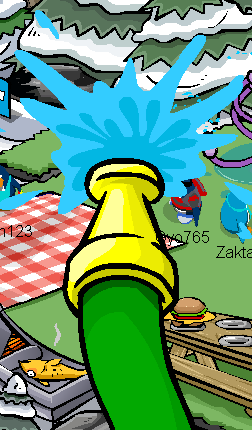 🙄 Last year’s summer party was way better than last year’s water party, I don’t know what CP are thinking. And lastly, here are two pictures of the newly-designed player card. (Taken from CPIP Blog.) It looks very well organised. CP also made a video about what happened to the money we donated for Coins for Change back in December. And now for the new newspaper. There’s more about the Water Party ’08 on the first page. There’s a freaky illustration for this week’s poem. 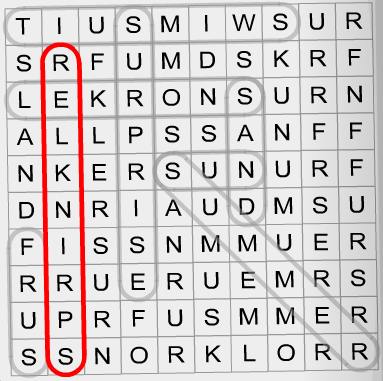 This week’s puzzle is another crossword. Click here to see the answers. Sorry I’m a bit late, I injured my hand badly so it’s hard to type & stuff. It suits CPIP perfectly. Clean, new, updated. Not some ugly t-shirt with CPIP all over it in big letters (although that’d been cool too 🙂 ). A new book also came out today. 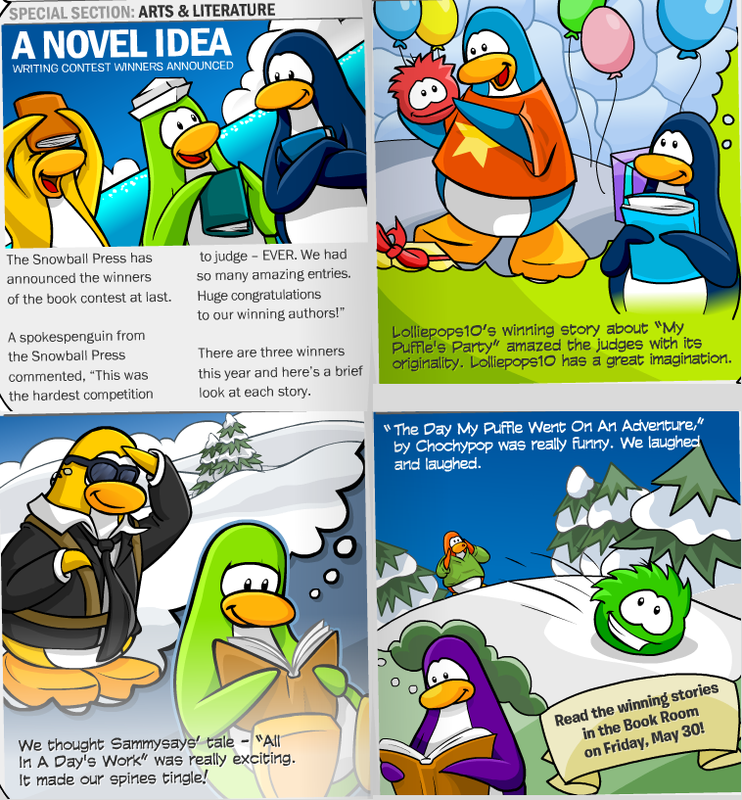 The three winning stories have been added to the newest addition to the the Book Room, Penguin Tales Spring 08. The stories are ok. Not as good as last year’s, but still worth reading. Don’t forget to read yesterday’s post too! The new newspaper came out today. The Book Room Writing Contest winners were announced. There are also sneak peeks of the three stories inside. 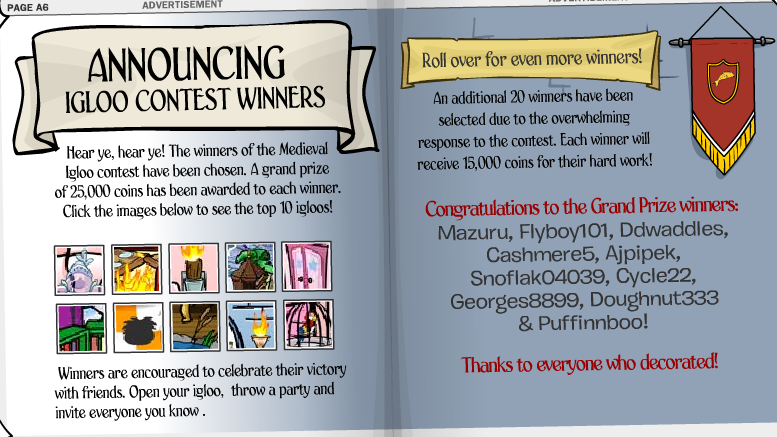 The Igloo Contest winners were announced too. I know I said I wouldn’t be posting the user-written articles anymore, but I just had to post this one. It’s set an all new level of boredom for me. Go ahead, read it & weep. While reading the other user-written article, I noticed the strange illustration above it. 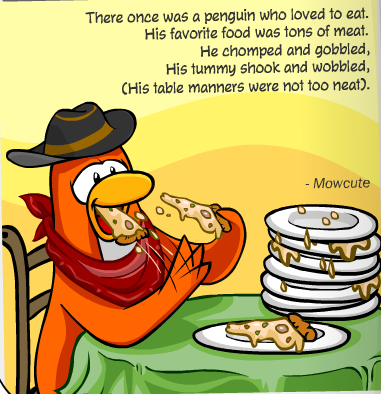 It would be cool if there was a giant book you could stand on in CP. Maybe they could add a new room to the Book Room for a party, like they did with the Treetop Forts. Now that I’m fixing my errors, I’d also like to point out that it wasn’t only yellow puffles that appeared in that tree. Every type of puffle could come out. Anyway, back to the new newspaper. 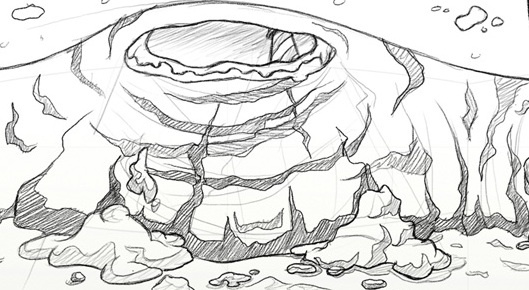 This week’s lame tour section was about igloos. This week’s artwork is pretty good. Don’t forget to read the CPIP item post below this too! CPIP Testing Reward Release Date Announced! Sorry I haven’t posted in a while – I’ve been away.